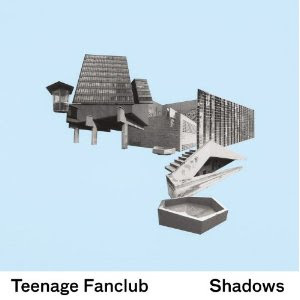 Road Records Album of the Week is Shadows from Teenage Fanclub. "One of our all time favourite bands finally return with their first new album in nearly five years. The album is released again on their own Pema label. The album features twelve brand new tracks including the recent single "Baby Lee". What can i possibly say about a Teenage Fanclub album that you don't already now. The facts are it contains twelve classic slices of pure sunshine pop sounds, really is there anybody else better at this kind of jangly guitar music out there. Some of the tracks feature brass and strings, some of them dont. These guys are blessed with three of the finest songwriters around at the moment, not to mention three of the finest singers too. The album kind of sounds a bit like Teenage Fanclub, probably falling somewhere between grand prix and songs from northern britain. Basically its yet another superb collection, buy it and try not to smile from start to finish." Order Shadows for €13.99 from Road Records here. *Julie and Dave's Road Records, the amazing independent Dublin record store situated on Fade Street, survived a closing down scare at the end of 2009 but, thankfully, with the help of alot of friends, music-lovers and local musicians the shop is now over the worst of it. One idea that has helped the lads through these times is a very simple one. An album of the month subscription. Basically the customer pays a membership fee and Road Records post out their album of the month every month.